Whether it’s a sink, toilet, or Main Line Sewer, we’ll get that drain unclogged, We have all the machinery for all the types of drains, Our licensed, experienced Intercounty plumbers are able to handle all of your plumbing issues, small or large! Whether it’s something as simple as unclogging a drain, or a complicated piping issue, feel free to contact us to get more information! Over time your drains may become clogged. When you are experiencing an annoying clogged drain, call the company that’s been specializing in drain cleaning for over 15 years. Call Intercounty Plumbing. 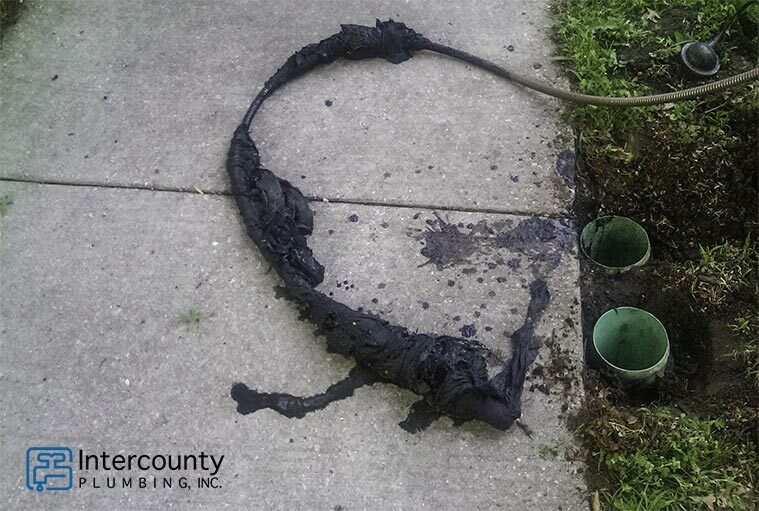 Our team of experts can safely clean your drains and keep you free of clogs for years to come. 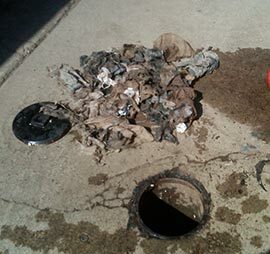 The buildup of grease, hair, food and other sediment can eventually cause your drains to clog up. If you experience any of the following issues, you may be experiencing a clogged drain. Standing water or slow draining water in your shower, tub or sinks. Toilets not flushing properly due to lack of water pressure. Toilets backing up or overflowing. 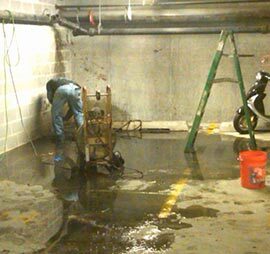 Why Invest in Professional Drain Cleaning? The oils, grease, hair and food that can build up in your pipes will eventually harden over time and be more difficult to remove. 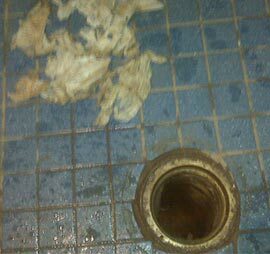 Our professional drain cleaning service removes these pesky clogs safely and effectively. As opposed to chemical drain cleaners that can eventually corrode your pipes over time, professional drain services will bring longevity to your pipes. 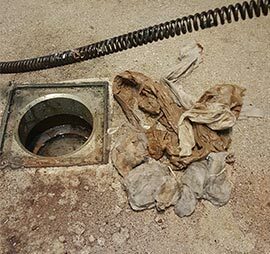 We often recommend that homeowners get their drains cleaned at least once per year to keep everything running smoothly. Ensuring that no food or grease go down the drain. Installing hair screens on your drains. These can be bought at hardware store and easily installed and removed to clean. Invest in annual drain cleaning. 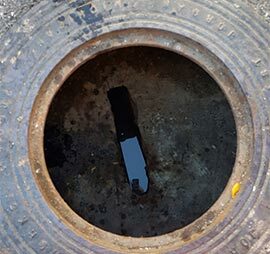 If your drains become clogged again within 30 days of receiving our professional drain cleaning, we will return to your home for a free inspection (only apply to residential customers). At that time we will also take a look and see if there are any underlying issues that may be causing you to get clogs and we will provide you with options on how to solve the problem for good. Keep your pipes running smoothly, schedule your comprehensive drain cleaning from Lombard, IL professionals, Intercounty Plumbing, today. Call (630) 629-4444 for a quote and speak to our friendly experts about your plumbing needs.